Keetmanshoop (Afrikaans: Keetman's hope) is a city in Karas Region in southern Namibia, lying on the Trans-Namib Railway from Windhoek to Upington in South Africa. It is named after Johann Keetman, a German industrialist and founder of the city. The town is situated in a semi-arid area, normally receiving an annual average rainfall of only 152 millimetres (6.0 in), although in the 2010/2011 rainy season 254 millimetres (10.0 in) were measured. Before the colonial era, the settlement was known as |Nu|goaes or Swartmodder, both of which means "Black Marsh" and indicated the presence of a spring in the area. The first white settler, Guilliam Visagie, arrived here in 1785. In 1860 the Rhenish Missionary Society founded a mission there to christianize the local Nama. The first missionary, Johann Georg Schröder, arrived in Keetmanshoop on April 14, 1866, which is now marked as the founding date of Keetmanshoop. The mission station was named after the German trader Johann Keetman who supported the mission financially, but never actually visited the place himself. Keetmanshoop has a desert climate (BWh, according to the Köppen climate classification), with hot summers and mild winters. The average annual precipitation is 147 mm (6 in). 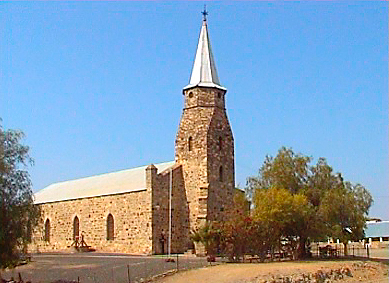 The Keetmanshoop Museum is located in the Rhenish Mission Church, a building dating back to 1895. The church was declared an historic monument in 1978 and is a well-known landmark. Its unique combination of Gothic architecture cast in African stone makes it one of the architectural masterpieces in the country and a popular tourist attraction. Other notable buildings are the post office, dating from 1910, and the railway station building. The town is situated near two quiver tree forests, one of them being a national monument and a major tourist attraction of Namibia. Also close to Keetmanshoop is the Naute Dam. J. Stephanus Stadium is located in Keetmanshoop and is home to Fedics United F.C., a football team in the Namibia Premier League. Keetmanshoop is also an important center of the Karakul sheep farming community. 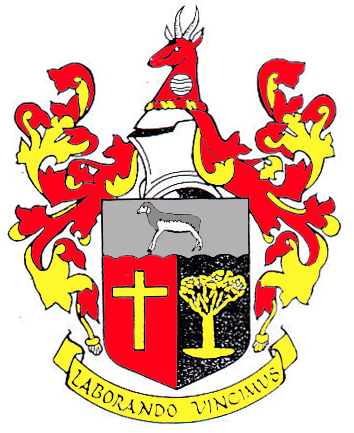 In the 2010 local authority election, a total of 3,156 votes were cast in the city. SWAPO won with approximately 48% of the vote. Of the three other parties seeking votes in the election, RDP received approximately 35% of the vote, followed by the Democratic Party (10%) and the Democratic Turnhalle Alliance (7%). Town Keetmanshoop is located 495 km south of Windhoek, the capital of the country. The town is one of the oldest in Namibia and effectively is a capital of the south. The original settlement named Modderfontein dates back to the early 19th century and was established due to presence of fresh water springs. In 1800s Keetmanshoop was both a mission station and a trading post. A fort was established in town in 1894 following the arrival of German settlers. Many soldiers settled in the area buying farms which lead to Keetmanshoop being a centre supporting local farming community. The railway line to Keetmanshoop and further to Luderitz was completed in 1908.